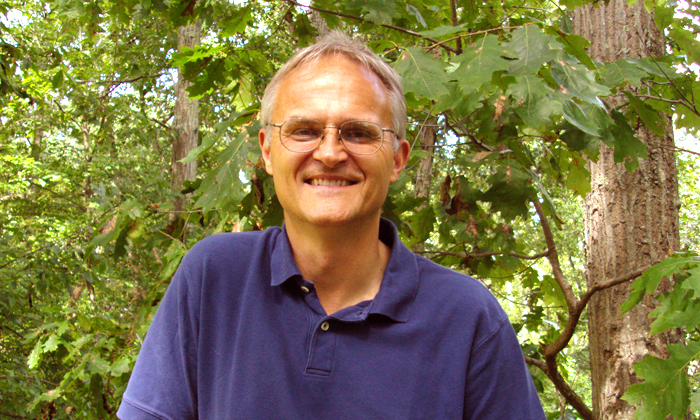 Bror Saxberg is the Chief Learning Officer for Kaplan, Inc., a worldwide learning provider of test preparation, higher education, workplace training, and English language learning. Bror has spent almost twenty years working at the intersection of technology, learning science, curriculum, and delivering new learning experiences at scale. Before his role at Kaplan, Inc., he helped found the virtual education company K12, Inc., and has held roles at Knowledge Universe, Dorling Kindersley, and McKinsey. 1. Your educational background is astounding. You have a BS in Electrical Engineering, a BA in Mathematics, an MA in Mathematics, a PhD in Electrical Engineering and Computer Science and an MD degree. Can you tell us what kind of career you thought you were going to pursue in your “formative” years? How and why did you end up in Edtech? Oddly, I went to college thinking I’d design stereo gear for a living. I loved how you could put together transistors, resistors, inductors, other little pieces with wires and solder, and end up with something that could play fabulous sounds, so I went in to electrical engineering (EE) with that in mind. I knew math was a key underpinning for EE, and I enjoyed the crystal-clear reasoning, so I kept that going alongside. It was a great summer. All that I read reinforced the opportunity to put together information theory, computer science, neuroscience, cognitive science – and that such overlaps were still in their infancy . It really set my course from there: I studied more math in Oxford (the MA) during my time there because I wanted a toolkit around differential geometry to use to understand how vision could possibly work. I went on from there to MIT and Harvard Medical School to combine deep understanding of biological functioning with state-of-the-art understanding of systems theory and computer science, working at MIT’s Artificial Intelligence Laboratory on my Ph.D. on how vision can unpack surface information from a single shaded image. Over the next few years, I shifted from doing research to doing engineering work to help minds work better at scale. 2. You began your career as a consultant for McKinsey working with telecommunications and other large business sectors. From there you went to Dorling Kindersley to be the General Manager of their North American multimedia group. DK was and is known for its beautiful visual books. Was it difficult to establish and lead a multimedia division in that culture? Tell us a bit about your experience there. DK designed their fabulous CD-ROM products in the UK, and our job in the US was to take the gold master and do everything else for the US market: manufacturing, packaging, marketing, sales, distribution, service. (It was a terrific general management experience!) DK’s skills as visual designers fit the CD-ROM marketplace wonderfully – they were able to control how text, visuals, video, and audio fitted together exactly, and made many truly stellar products. What was very interesting was when they went on the web. That was a lot harder, because you could no longer precisely control where text and images were in relation to each other, unless you designed full picture panels, which (in those days) were very slow to load indeed. There was a lot of suspicion that DK just wouldn’t “fit” on the web because of this – Peter Kindersley, who was the design soul of DK, would never find a way to do it. 3. Your next position was at Knowledge Universe, working on acquisitions. What were the most common weaknesses you saw in companies seeking investment? Were there any “kiss of death” indicators? What were the most important strengths you were seeking? Were there any companies that you assessed that KU did not invest in which you thought and still think would have been a good bet? A lot of the details of specific transactions are now buried in the sands of time, but the general outline has remained constant. In the late 1990’s, we saw many of the same problems that you see now with ed-tech: people were focusing on the technology itself (“How cool is this!”), rather than what people were going to actually get that was valuable from the technology. This is something Rick Hess and I talk about in our recent book, Breakthrough Leadership in the Digital Age: Using Learning Science to Reboot Schooling. Arguably, this hasn’t changed since the 1930’s – some state education departments in the US invested in radio broadcast capabilities back then, because surely just getting the best lecturers on air would be better than random teachers talking to students? (Sound familiar?) What folks missed (and still miss) is the need to think first about the learning problem you have – what is it you need to do better with a mind, what is the “active ingredient” in what a student is doing that lifts their learning? Only then should you look at technology to see what you can do to make a better learning solution (or at least the same) be more affordable, reliable, available, data-rich, and personalized. A thought experiment: imagine your worst ever college professor for a moment. That person was only able to damage a few thousand students each year. Now, with the benefits of technology, that person can damage millions of students – he has a become a weapon of mass destruction. That’s the critical thing to be aware of with technology (and came out in my McKinsey experience of using technology in all kinds of business areas): you must first sort out your real problem, and real solutions to those problems, before you start applying technology, or you run the risk of scaling up bad solutions without being aware of it. 4. Not long after your KU years you moved on to be the Chief Learning Office of K12 Inc. an early entrant into online e-learning. Can you tell us what a Chief Learning Officer does? How did you become interested in the science of learning? In many corporations, a Chief Learning Office heads up company training. Both at K12, Inc., and at Kaplan, Inc. where I am now, the whole company is about providing learning environments for students, so the role is really externally facing. In a way, a better name for what I’ve been doing these last 14 years is acting as the “Chief Learning Engineer.” What I mean by this is that I am not a learning scientist. What I do now is to take results from learning science (and there’s quite a lot out there), and, like any engineer does, figure out how to apply it at scale to deliver real-world solutions. What’s odd about education is we really don’t have many “learning engineers.” The world is filled with other kinds of engineers, and we are clear how they are different from scientists: a chemist works in a lab, solving hard, narrow problems in the most precise and accurate way possible, publishing that work so that others can build on it in their labs. A chemical engineer is deeply connected to current science, because the results may either provide new solutions for their problems, or help them avoid a problem along the way, but they have many more issues to deal with: health and safety regs, affordability issues, and new issues that just come from scale alone, e.g., the strength of pipes and containers at scale. We need this in education, this group of folks who are deeply connected to the science of how learning actually works, yet work in the real world. Engineers never have enough science to actually “tell them what to do” – they are always designing new solutions, taking some risks along the way, but they are always grounded in what’s known about the science, too. That gives them more opportunities than their own intuition would come up with, and helps them avoid problems that their own intuition might lead them into. 5. You have children of your own, may I ask if you would send them (or have sent them) to online schools? Why, why not? We did send our youngest son to K12, Inc. in Kindergarten through part of second grade. It was a classic situation – he was “failing” his Kindergarten class (how the heck do you do that? “Bad at snack?”), and my wife, Denise, who volunteered in the class, could see that the highly verbal Kindergarten teacher was a complete mismatch for the overwhelmed little guy. She decided to pull him out and look for a private school, and she asked me “Do you know any good materials for a Kindergartener that I could use while I find another school?” Since we had just launched our K-2 program, I definitely had a suggestion. I was traveling a lot in those days (we lived in LA and the business was in the DC area), and I heard stories about interviews with schools and how they went at first. But then I stopped hearing such stories, and sat down with Denise to ask, “Soo, what’s up with the school thing?” She told me that as she’d started to work with our materials and our youngest son, she could see him finally engage and start learning. She concluded she didn’t want to run the risk of this going badly again, so she thought “I’ll just keep doing this for a while.” That turned into a two year run, so I ended up with a quite powerful focus group in my home. John Sargent, mentioned earlier, was willing to give an ex-researcher, ex-consultant a general management position in new media. Lowell Milken gave the initial K12, Inc. team a chance to do the best learning we could fit in to our financial and time constraints. Most recently, Andy Rosen, the Chairman of Kaplan, helped design the role of Chief Learning Office across Kaplan – and then took the risk to hire me to do it. 6. Now you are Chief Learning Officer at Kaplan, one of the most established global providers of learning services, not only to school age children but also to adults. How would you describe your role at Kaplan? Kaplan was established in 1938. How is it different say from K12 which was a recent (nevertheless successful) entrant into the business of education? Does having a longstanding position in the market make a difference? K12, Inc. was very focused on, no surprise, the K-12 sector for learning in the US. By contrast, Kaplan is very different than just about any other provider of education in the market because of the breadth of its offerings. It ranges from younger teenagers we tutor in math and language arts, to 70+ year olds who are working to keep up with licensing requirements in financial services, real-estate, and other industries. The students range from those seeking an entry-level certificate into health care (and may have had some challenges in previous experiences with education), all the way up to some of the most skilled students on the planet, e.g., students studying for the MCAT, or the US Medical Licensing Exam. Our learning environments range from purely brick and mortar environments, to blended technology and brick and mortar, to faculty-enhanced virtual environments, to purely virtual environments. We have operations in China, Singapore, Australia, the US, the UK, the Middle East, and in Africa. At K12, Inc., I was directly involved in building our early learning environments for students – we had just one (large) team building out learning materials, both on-line and off-line, and I was directly a part of that effort, working directly with subject matter experts and instructional designers in setting the course for specific products, services, and technologies, and helping make product development decisions and tradeoffs throughout the year as problems and opportunities came and went. At Kaplan, by contrast, we have many teams working on different kinds of learning environments under very different constraints, based on markets and geographies. My role as Chief Learning Officer is to help transition the product development teams from their current, often (but not always) traditional approaches to a more evidence-based way of thinking about learning problems, learning solutions, learning measures, and the use of technology to make better learning solutions and measures more scalable. This means working with each team in the context of its own business priorities to make progress, and to help all the teams hear more about the successes of other teams as they make these changes over time. So a very different kind of role, but with a very motivating opportunity for impact at scale. 7. What are you most proud of in terms of career accomplishment? There are two things that stand out. The first is building a set of learning environments for K12, Inc. from the beginning that reflected (as best we could within our constraints) research on how learning worked for kids and specific topics we were getting them to master. The second is the current work at Kaplan, Inc. It’s not just test preparation, which is what we’re most known for in the US. It’s an organization of more than 20,000 employees across 17 time zones serving more than a million students each year at all levels, from teenagers to retired folks – truly, a major enterprise with a long history. What the senior management at Kaplan are trying to do is get a stronger evidence base for what we’re doing across the board and make Kaplan increasingly distinctive in the way we apply learning science and learning measurement at scale. This is not the norm in the education industry right now, and the commitment of Kaplan to retraining instructional designers, measuring how we’re doing to help students succeed, running randomized controlled pilots, and altering business processes to rework how we improve learning, is really remarkable. I’m very proud to be a part of this team, at this time – we think we can make a major difference. 8. What is the most surprising result you experienced in your career? For example, is there a product you intended for one demographic that turned out to be more appropriate for a completely different one? Was there a product you thought was a sure winner that bombed? What did you learn from this experience? I think the fact that I helped pull in the first tables and chairs into a start-up company, K12, Inc, and that company ended up a few years ago with a billion dollar valuation, has to be the most surprising result in my career. The odds of start-up companies succeeding are never good, and we started K12, Inc. in early 2000, just as the dot com crash happened. K12, Inc. is one of the few technology-oriented start-ups from that time that actually succeeded. 9. What is the biggest risk you have taken in your career? Did it pay off? How and why or why not? What had happened is that as I was finishing up my M.D. and Ph.D., I could see the best research labs were led by people who knew how to put together people, money, other resources, ideas, and got them all to go in the same direction, yet none of the training as a researcher prepared you for that. I certainly wasn’t going back to school at that point, so I began looking for a job that could give me that kind of skill, before I went back to the lab. I ended up at McKinsey, one of the best management problem-solvers around, which at that time (1990) was looking for people with technical backgrounds, good learning curves, and some communication ability. I was lucky enough to be asked to join. My time at McKinsey was fabulous. I thought I would only spend two years there, and then back to the lab, but I got very engaged in the at-scale problem solving within organizations that led to improvements for hundreds of thousands, even millions, of people through better products and services. This was very different than the world of research publishing I had been in, and after a few years I decided I wanted to focus on large-scale impact. I also realized I did not want to be a consultant long-term – they got kicked out at the most interesting point, when you had assembled a team, figured out what you were going to do, and how to do it. It turned out to be non-trivial to land a general management job in new media in the mid-1990s with a background like mine: by some standards, I was in my mid-30’s, and still hadn’t held a real job. (Consulting doesn’t count to some people. . .) I had a pretty good background, but it was still a matter of patience and persistence (and I’ve always found it that way, to find a new job): I have rejection letters from most of the finest new media companies of the mid-1990’s, but each interview gave me a clearer perspective on the industry, its challenges, and the opportunities. By the time I got to talk to John Sargent, the then CEO of the US portion of DK, I had made the rounds of most of the companies (and been rejected! ), and so knew a lot about the industry. He and I hit it off, and away we went. 10. We call this blog, Influences and Influencers, who are the people who have influenced you? Have you ever had a mentor? Can you tell us about him or her? Whose work or input has impacted you the most in your career and how? I think here have been three types of influencers for my career so far. The first influencers, of course, are my parents. They seemed always to focus on getting serious effort from my brother and me, not necessarily on the results. My handwriting has always been in the lowest 6 sigma of any environment I’ve ever been in, and yet my parents gave me no more (or less) push to try harder at it than in topics that I did very well in. I think that message, that it is effort that matters the most (which research from Carol Dweck’s group at Stanford now backs up more generally), has been at the core of my approach to challenges. And my willingness, occasionally, to bull-headedly accept many failures along the way to getting something done. The second influencers are people who took a risk on letting me do things I set out to do. Stan Butman, mentioned earlier, let an undergraduate define his own (wild-seeming) project for a summer of work at JPL. My research supervisor, Tommy Poggio, at MIT was willing to give me a lot of rope to try to apply sophisticated mathematical techniques to a problem in human and machine vision. John Sargent, mentioned earlier, was willing to give an ex-researcher, ex-consultant a general management position in new media. Lowell Milken gave the initial K12, Inc. team a chance to do the best learning we could fit in to our financial and time constraints. Most recently, Andy Rosen, the Chairman of Kaplan, helped design the role of Chief Learning Office across Kaplan – and then took the risk to hire me to do it. The final influence comes from a guy who’s no longer around – and hasn’t been for a century: Cecil Rhodes. His approach in life had many undesirable qualities. But in his will, which set up the Rhodes Scholarships, he made a major point about looking for people who would “engage in the world’s fight.” Ever since I applied, I’ve looked at career transitions and projects through that lens: will it let me engage in some better way to make a big difference on tough, important, problems in the world? Even a few words can matter, if they generate and affect choices. 11. What product or service have you seen lately that really excites you? 12. What advice would you give to someone who wanted to make a genuine impact on the quality of education in the United States? If someone wanted to get into this field, how would you advise them to start? If you really want to make an impact on student performance, not just sell into current learning markets, I’d argue you should take the time to learn what is now known about how learning actually works. There are great syntheses out there (e.g., E-Learning and the Science of Instruction, by Ruth Clark and Richard Mayer) to draw on – if everyone were applying just what’s in this one book, all our students would be better off. From there, I’d pick hard, important problems at whatever level you wished to work. Dig deeper into the research, to see what’s already known about that problem. Use techniques like cognitive task analysis to unpack both the conscious and non-conscious/tacit decision-making that the best experts (not just average experts) do. And then look to see how the flood of new technology can take such a good, evidence-based approach to learning, and make it more affordable, reliable, available, data-rich, and personalized, blending together technology, peer interactions (of the right sort at the right time), and expert coaching (again, of the right sort, at the right time). The good news and bad news about learning at scale is basically the same: the best research results are not being used at scale yet. That’s bad news for students, families, companies, and economies of course – but on the other hand, it also means there’s a tremendous potential to make a real difference once we bear down and do the hard engineering work to apply what’s already known. If we’d already applied all this good research at scale and had as many problems as we have now, it would be very depressing, Instead, I’m enormously optimistic about what the next few decades will bring to learners of all ages, if we expand our “learning engineering” approaches. When Bror and his wife enrolled their son in online school he, as they say, walked the walk. I wonder how many people who work in the industry do this? Do you know any other Edtech gurus whose kids attend online school? Want to learn how school leaders can use cutting-edge research about learning science? Be sure to check out Bror’s book, Breakthrough Leadership in the Digital Age: Using Learning Science to Reboot Schooling. Rich and meaty. Really a great read and very thought provoking.